I can't look away. This "realistic" life-sized Marty McFly I found on eBay is just too... creepy. The uncanny valley is definitely in full effect here. 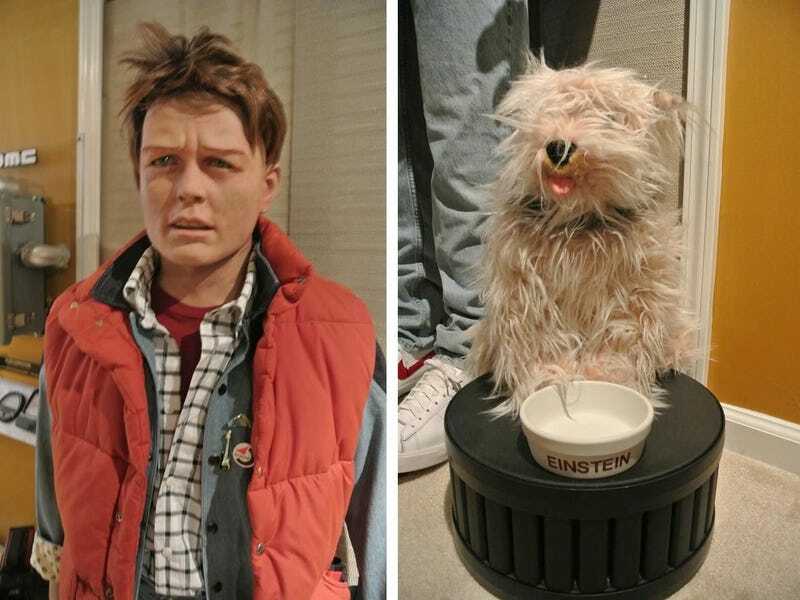 The seller of this Back to the Future monstrosity claims that this was "privately commissioned," making me wonder who exactly wanted this McFly (complete with a little Einstein dog!) manufactured. I just can't stop staring into its sad, life-like eyes. It's like there's a soul trapped inside, just begging to be let out — or put out of its misery. Imagine Marty McFly just standing in your kitchen. Or your bedroom. You can now make that happen! For the low low price of $1,950, plus $150 shipping. Go about your daily life like he's not even there. He doesn't mind.